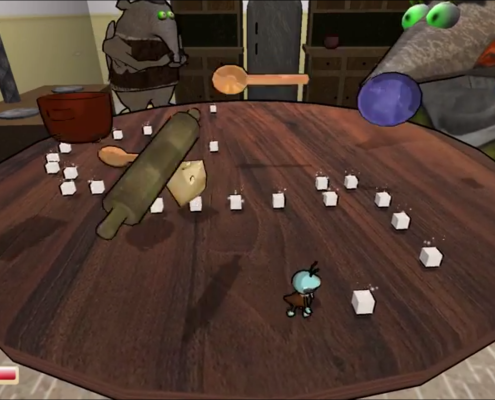 SugarRush is a cartoon themed, single player game where the player plays as a colony of ants supporting a brave ant that ventured into an anteater’s house to gather sugar cubes. 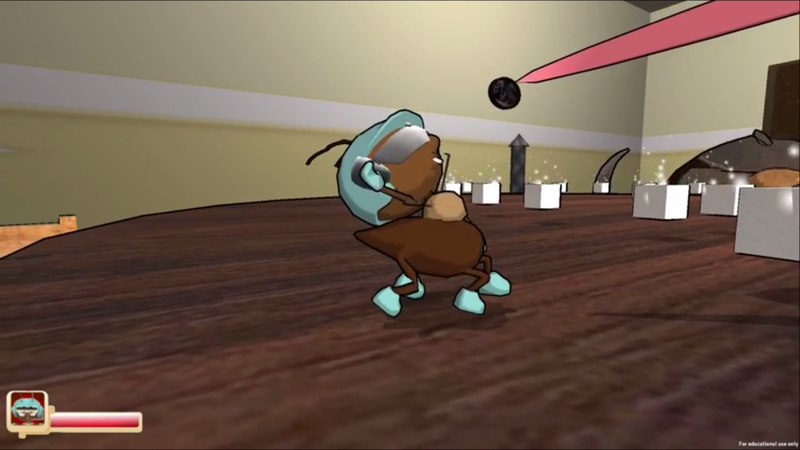 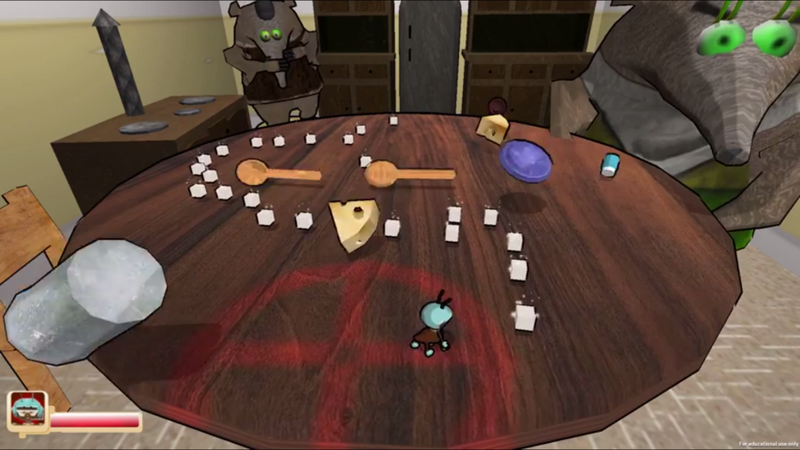 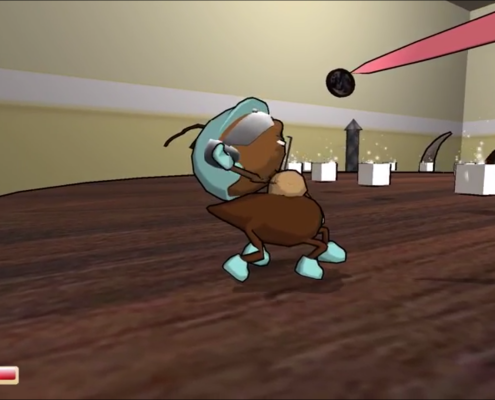 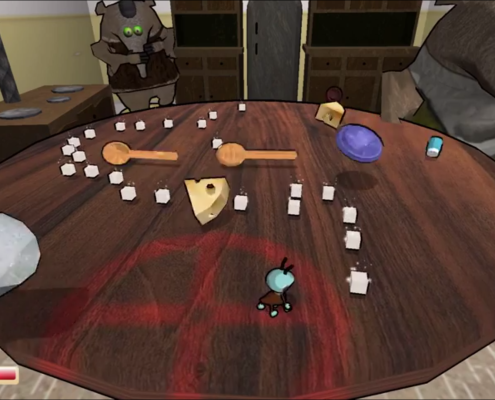 The player has to rotate the table to help the ant dodge kitchen utensils being thrown at him by the anteater. 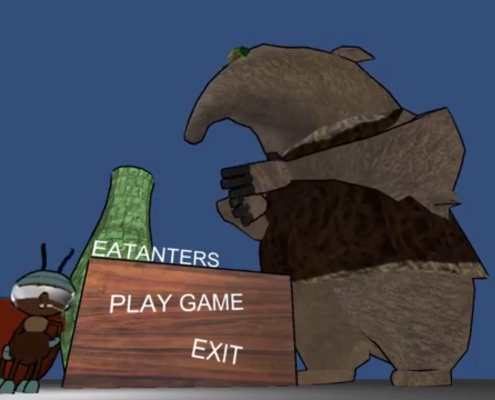 At the same time, the player can enter bullet time to dodge the anteater’s tongue. 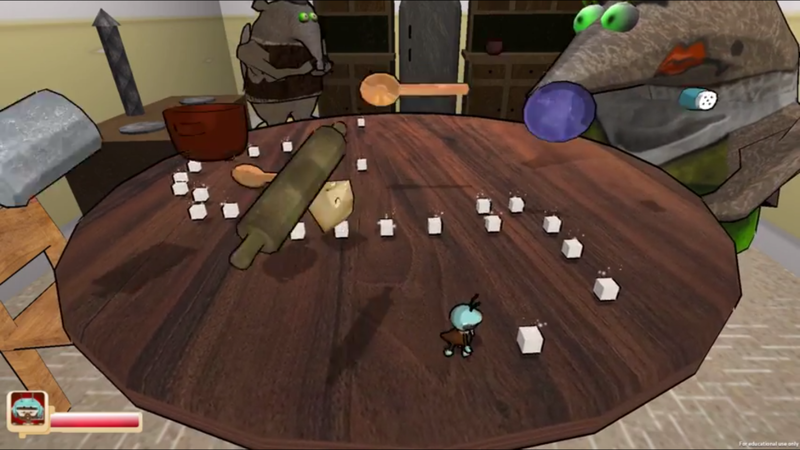 This game was created for the XBox Kinect platform during Round 1 of Building Virtual Worlds at the Entertainment Technology Center. 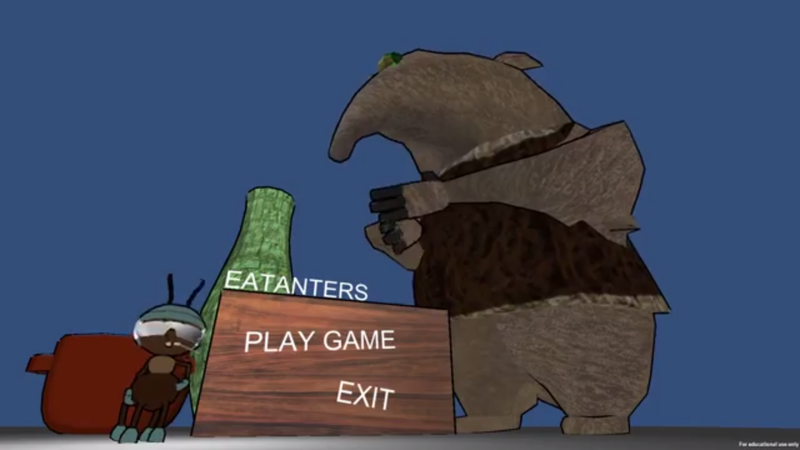 The entire game was created in 2 weeks.